Officers made a traffic stop in the 100-block of SE 16th Tuesday morning before 11:00. The driver, Jason Don Prunty, 36, and passenger, both had outstanding municipal court traffic warrants. Police found Prunty in possession of methamphetamine. Paris Police worked a burglary of a business Tuesday morning around 7:00 in the 1200-block of SE Loop 286. Reportedly, someone broke into several buildings on the property and stole numerous tools. 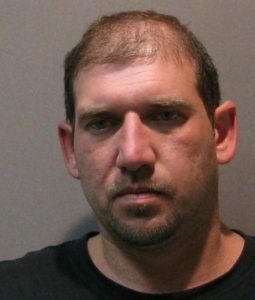 The jewelry theft two weeks ago in the 4200-block of Lamar led to the identity of the male suspect as Jeremy Dean Gilbert, 42, of Denison. Gilbert has since been arrested and charged with this theft along with a parole warrant. Paris Police still need to identify the female in the case. Paris Police responded to 83 calls for service and arrested four people Tuesday (Jan 22).